The standard model is expected to remain on sale alongside the faired version. Mumbai dealers have started accepting bookings of the bike for a token amount of Rs 1,000. Expect it to hit showrooms in the next few weeks. Bajaj has given the Pulsar 180 its biggest update in a while. The 2019 version of the bike will now be available with a half fairing akin to the one seen on the Pulsar 220F. For this, it has received a new price tag of Rs 86,500 (ex-showroom Pune), making it around Rs 1,500 more expensive than the standard model. Speaking of which, Bajaj will continue to sell it alongside the faired version. 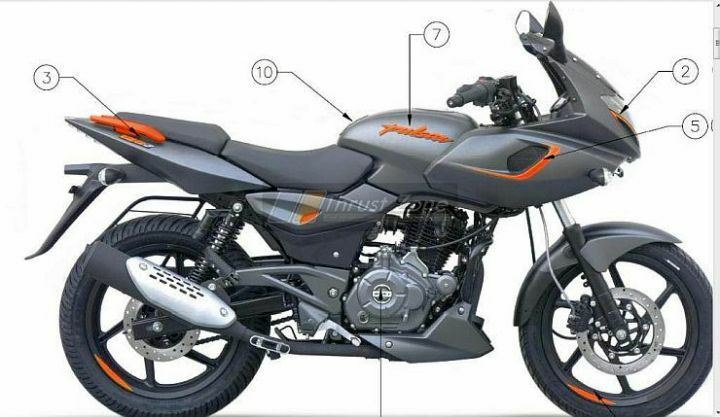 Along with the half fairing, the Pulsar 180F will also get the twin vertically stacked projector headlamps from the Pulsar 220F. Further updates include the neon colour graphics that we’ve just seen on the recently updated Pulsar range. Considering the 1 April 2019 deadline we expect Bajaj to introduce an ABS variant of the Pulsar 180 and 180F soon. And that’s where the changes end. Its expected to carry the same engine and mechanicals as the standard model. Which means powering it is the same 178cc single-cylinder engine as before, churning out 17PS of power and 14.2Nm of torque, mated to a 5-speed transmission. Underpinnings too are expected to be unchanged, with a 260mm disc at the front and a 230mm unit at the back. Suspension duties continue to taken care of by telescopic forks at the front and dual shock absorbers at the back. While we don’t have the exact figures yet, expect it to weigh a little more due to the addition of the half fairing. This update will make the Pulsar 180 the only half-faired motorcycle in its segment, something which will help set itself apart from its competition like the TVS Apache RTR 180. While dealers in Pune haven’t given us a clear confirmation, Bajaj dealers in Mumbai have started accepting bookings of the motorcycle for a token of Rs 1,000. We expect it to be launched sometime in February.